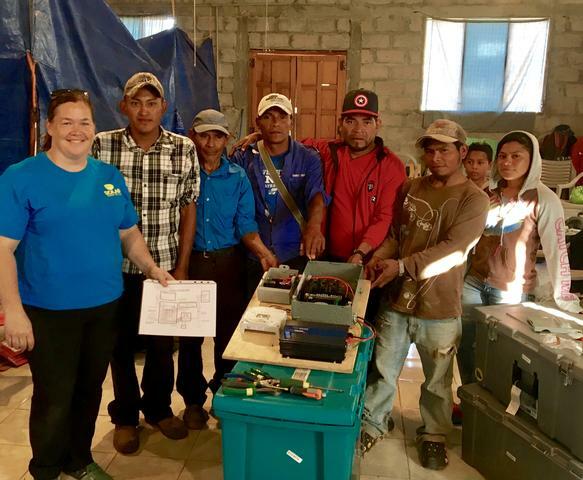 Installation of 14 Single Family, 12 volt (SF-12) systems in 14 homes in the communities of El Horno, El Sute, and Agua Zarca. This was part of an ongoing project to install power in 76 homes in remote mountain top villages that have no access to electricity. Solar Under the Sun is the IP, and we used this trip as an opportunity to give real-world experience to 7 Solar School graduates that had never been on a solar trip before. We successfully installed all 14 homes with the help of many participants in the community.